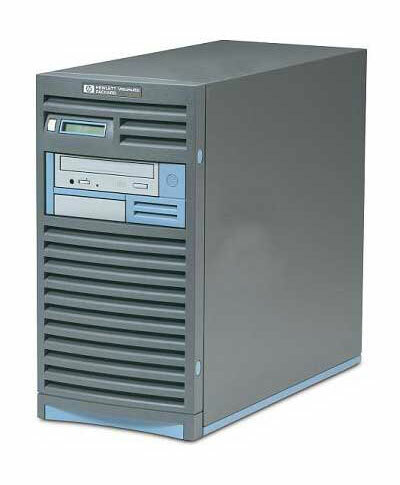 The HP C3600 Workstation draws its speed from the pa-8600 processor running at at 552MHz. Team the power of the pa-8600 with the c3600's capacity to support up to 8GB RAM, 36GB internal disk, and six PCI cards, and you have a workstation that breaks through traditional bottle-necks of computation and desktop 3D design. Complimented by robust system architecture with fast memory and disk technologies, the c3600, HP A5992A, is masterfully crafted and optimized to maximize bandwidth, minimize system latency, and boost performance. The C3600 Worstation is commonly used as an ABB Advant Station (OS500). If you need a company that can support your HP C3600 Workstation than you have come to the right place. 26 years in business supporting legacy workstations just like the C3600. On Queue has inventory for all of the HP visualize workstation line and we are technically adept to help you in your needs. 9" x 25.8" x 17.5"